This article originally appeared at LobeLog, just a few hours after the Iran nuclear interim agreement was announced. These are my initial thoughts on the deal struck between the P5+1 (the U.S., Britain, France, China, and Russia plus Germany) and Iran. They come after a few hours of watching the speeches, reading the briefings from the US State Department and the White House and some heavy-duty work on Twitter, both reading and writing (check my feed at @MJPlitnick if you’d like to see some of it). 1. There are going to be tough political battles in both Washington and Tehran. But the reality is that pretty much everything the P5+1 has granted can be reversed at the figurative snap of a finger. If Iran dilutes or converts all of its 20% enriched stockpile, it will take time to build that back up. From the point of view of a hardliner in Iran, when that point is combined with the complete halt to work at Arak, the total halt to enrichment above 5%, the freeze on new centrifuges and limits on replacement and the earlier agreement Iran struck with the IAEA (which happened outside of the Geneva process, so there was no quid pro quo), this is a very long list of concessions. In exchange, Iran gets only minor sanctions relief, potentially worth as much as only $7 billion and an agreement that the West will leave the limit on Iran’s oil revenue where it is. That’s a pretty one-sided deal, and Iranian conservatives are going to have a real point on their side when they scream about that. Yet it has already been established that many in Washington are not interested in anything less than a total Iranian capitulation. If Iran defies the West, they call for more sanctions. If Iran extends an olive branch, they say sanctions have worked and should be increased. It’s an obviously absurd position, but it is very much that of the Israeli government, the Saudi government, their various lobbying groups and the war-friendly right on Capitol Hill. Much will depend, in Washington, on President Obama’s and Secretary of State John Kerry’s ability to sell this deal as what it is—and incredibly good one for P5+1, which cannot be used as a cover for more steps toward a nuclear weapon, and which safeguards Israeli and Gulf security. In Tehran, Hassan Rowhani will have to convince the hardliners, some of whom certainly still have the ear of Supreme Leader Ayatollah Ali Khameini that the one-sided nature of the deal will be worth it because it will pave the way for comprehensive sanctions relief. 2. This is a huge step back away from war. Even if Iran does not comply or the process breaks down from here, at least war has been pushed back somewhat on the horizon. For the next six months, one hopes, there will be diplomatic efforts and the threat of war should be largely suspended, aside from occasional rhetoric about all option being on the table, meant to reassure Israel and the Gulf monarchies. Sanctions will be reinstated if the process fails. And we will head down the road toward war again, but at least it will have been delayed. Given that a war between the US and Iran is something neither side wants, any step back is a step towards eliminating the possibility. 3. The only way this hurts Israel is by limiting Netanyahu’s fear-mongering. The problem with Israel’s stance – and that of its right-wing advocates abroad – has been, all along, that what they really want is ever-increasing sanctions and tensions with Iran. The only deal that can possibly be even marginally acceptable to Israel is one which involves Iran’s total surrender. Since that was never going to be possible, the Netanyahu government is going to oppose even a great deal like this one with everything it has. A lot of Israeli rhetoric for years has been misinformation, sometimes even outright lies. Such was the case today when the Prime Minister’s office characterized the deal as giving “…Iran exactly what it wanted – a serious lessening of sanctions as well as preserving the most significant parts of its nuclear program.” The deal demonstrably does neither. Israel does have legitimate security concerns here, of course, but they have never been what Netanyahu has said they were. This deal is great for Israel because it grants unprecedented access to Iran’s nuclear facilities to the IAEA, eliminates their 20% enriched uranium stockpile, and, at least for the next six months, eliminates Iran’s ability to beef up their nuclear program. It does that while bringing only temporary and unsustainable sanction relief—it will help a bit for a while, but by itself, this relief is nowhere near enough to repair the Iranian economy. There is just about no risk for Israel here, and everything to gain, from the point of view of the average Israeli. From the point of view of right wing demagogues like Netanyahu, Naftali Bennett and Avigdor Lieberman, it risks removing their last great boogeyman. Because if there is peace with Iran, they go back to trying to sell the Palestinians and Hezbollah as existential risks. Good luck with that. 4. A historic turning point. Although Trita Parsi, in his 2007 book, Treacherous Alliance: The Secret Dealings of Israel, Iran, and the United States, makes it clear that there has always been some sort of interaction, if only at an indirect level, between Iran and the United States, this is the first time the two countries have come together in an agreement since the fall of the Shah in 1979. That it has even gotten this far displays a flexibility in both Tehran and Washington that hasn’t existed before. No matter how things go, that is a step forward, and a big one. 5. Arguments against the deal just don’t hold water. One right-wing critic actually compared the deal with Iran to the one with Syria. Well, in Syria, we got an agreement on chemical weapons, which is what we wanted; we deprived Bashar al-Assad of the ability to use such weapons again; we did it in cooperation with all the other great powers, rather than against their opposition; and we accomplished it without bloodshed. I strongly suspect that it is that last point that most troubles opponents of both deals. Only bloodshed and destruction seem to satisfy them, despite the fact that, morality aside, we have seen so clearly in Iraq the consequences of such actions and their ineffectiveness. As I’ve already stated, the deal self-evidently favors the West. Iran is agreeing to it because they hope it will lead to what they want, which is a fully functional nuclear energy program that is sufficiently proven to be peaceful to remove the sanctions. When hardline Republican Senator Lindsey Graham tweeted “Unless the agreement requires dismantling of the Iranian centrifuges, we really haven’t gained anything,” he demonstrated thorough ignorance of the nuclear weaponization process as well as the contents of the agreement. There is only one reason to oppose this deal and that is that, whether with weapons of war or sanctions that will lead to a full-blown humanitarian catastrophe in Iran, an all-out attack on Iran with the hope of regime change is what this is really about. The conclusion is inescapable—if you oppose this deal, you are looking for a lot more than the neutralization of Iran’s ability to construct a nuclear weapon. Is it true that in terms of inspections Iran can exclude sites from the mandatory inspection list? The Geneva deal expands that agreement greatly, and does not make exclude anything. 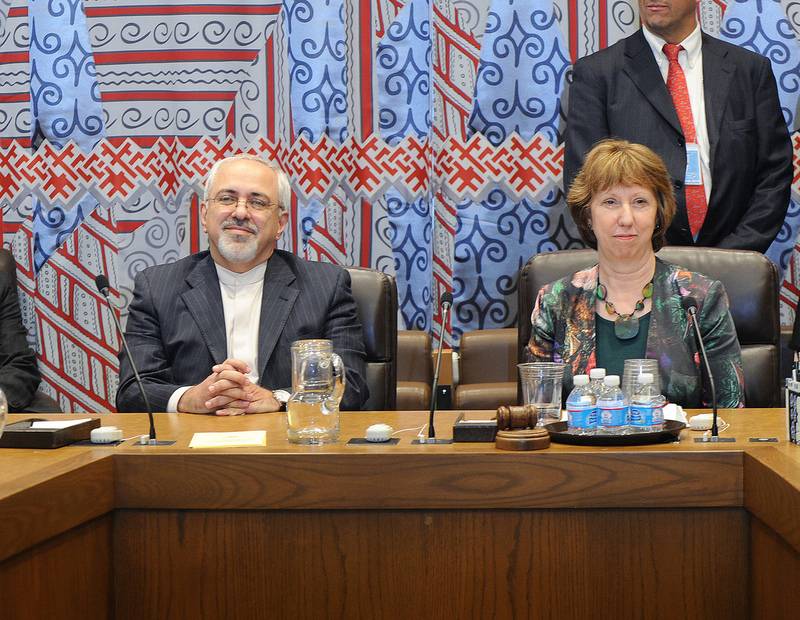 It should also be noted that nothing in the Geneva or any other agreement abrogates Iran’s commitments under the NPT.  centrifuge assembly workshops centrifuge rotor production workshops and storage facilities; and uranium mines and mills.